Saturday October 20th, we sat down for a chilled tequila with US Congressman Ted Deutch at General Provision in Fort Lauderdale. Congressman Deutch is a Democrat who represents Florida’s Florida's 22nd District which includes portions of Fort Lauderdale, Boca Raton, Coral Springs, and Parkland. He is the Ranking Member of the Ethics Committee and a Member of the Foreign Affairs & Judiciary committees. He’s seeking reelection to his 5th term in office. Just a reminder that early voting has started in most counties in Florida. For more info on times and polling locations, you can check your local supervisor of elections website. Also, there are many great voter guides out there, and we’ll link to a few in the show notes. You can check out this WMN Miami Voter Guide as well as The New Tropic's Voter Guide. This is a rerelease of our conversation with Tallahassee Mayor and Democratic candidate for governor, Andrew Gillum. On Saturday, April 28th we shared gin & tonic at Villain Theater in Miami and talked about topics including Mayor Gillum’s professional career, his policy vision for the state, and his first experience of political engagement—trying to get Nacho Cheese Doritos in his school’s vending machine. On Saturday August 12th, we sat down for an Old Fashioned with Jason Pizzo, a candidate running for Florida State Senate in District 38. He is running in a primary on August 28th against incumbent and serial liar Daphne Campbell. We talked about Jason’s time spent working as a prosecutor issues important to him including climate change, criminal justice reform, and more. On Saturday August 4th, we sat down for a beer with Cindy Polo, a candidate running for Florida State House in District 103. She is running in a primary on August 28th. We talked about Cindy's time working as communications professional, her inspiration for running for office, and issues important to her including gun control, mine blasting, education, and more. 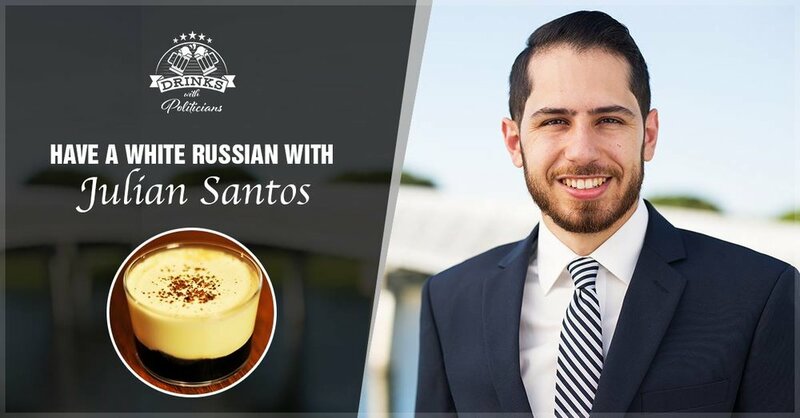 On Saturday July 28th, we sat down for a White Russian with Julian Santos, a candidate running for Florida State Senate in District 36. He is running in a primary on August 28th against Coral Gables firefighter David Perez. We talked about Julian’s time spent working as a financial regulator and issues important to him including healthcare, education, the environment, and more. 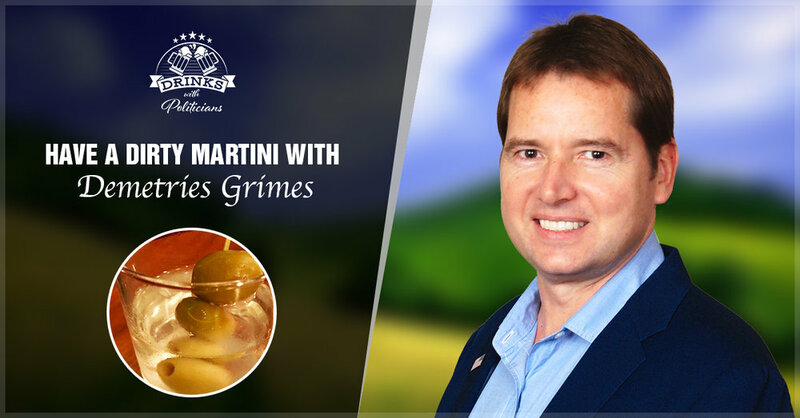 On Saturday July 14th, we sat down for an extra dirty vodka martini with Commander Demetries Grimes, a candidate running for US House of Representatives in FL-26. He's running in the Democratic primary on August 28th against Debbie Mucarsel-Powell. We talked about Commander Grime's international upbringing, his long career in military service, why he thinks he's the best candidate to represent District 26, and more. 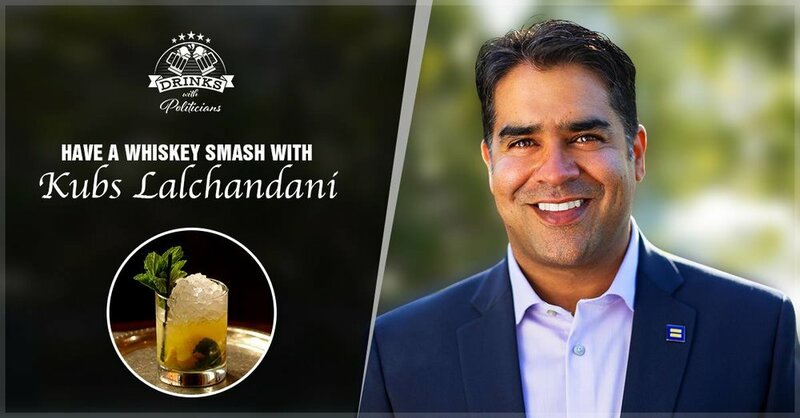 On Saturday July 21st, we sat down for a whiskey smash with Kubs Lalchandani, a candidate running for Florida State House in District 113. He has two challengers in the Democratic primary, Deedee Weithorn and Michael Greico. We talked about Kubs's journey to being a private practice attorney Miami, his views on a number of policy issues, racist attacks by one of his primary opponents, and more. On Saturday July 7th, we sat down for a fruit punch with Dotie Joseph, a candidate running for Florida State House in District 108 against incumbent Roy Hardemon. We talked about Dotie's growing up in the District, her views on a number of policy issues, when to use or not use the word deplorable, and more. On Saturday May 19th, we sat down for a beer with Randall Woodfin at Villain Theater in Miami. Randall is the 30th mayor of Birmingham, Alabama, and a rising star within the Alabama and national Democratic parties. We talked with Randall about his vision for neighborhood revitalization in Birmingham, some of the key challenges facing his city and cities more generally, the state of the Democratic Party in Alabama, and much more. On Saturday June 16th, we sat down for a whisky and coke with Debbie Mucarsel-Powell at Villain Theater in Miami. Debbie is seeking the Democratic nomination for US House District 26. She’s running in a primary on August 28th. We talked with Debbie about topics including immigration, healthcare, her experience with gun violence, why she's running, and much more. On Wednesday May 9th, we sat down for a vodka tonic with Representative Evan Jenne at General Provision in Fort Lauderdale. Evan represents District 99 which includes portion of Hollywood, Fort Lauderdale, and Davie. On Saturday April 5th, we sat down for a whisky ginger with Josh Simmons at Villain Theater in Miami. Josh is a candidate for Coral Springs City Commission. Coral Springs is a mid-sized residential city in northwest Broward that borders Parkland. 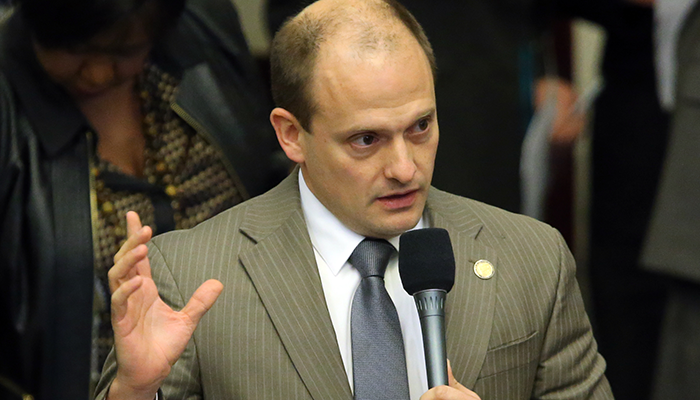 We talk about topics including Josh being recognized by the national organization Run for Something, a ban on medical marijuana dispensaries in Coral Springs, and how his community has been affected by the shooting in Parkland.